BeachBody. We all know P90-X. I tried a taster version back in 2014. And Insanity, which I gave up on after 1 week. It was well beyond my abilities. That said, time has moved on, and when I was given Core de Force for Christmas, a 3-disc, 6-workout MMA box set, I was very daunted - but very excited. But it took me some time to finally try it. I had other workouts lined up to use, and then I started a new training structure that threw my 4-year-old one-month-one-DVD plan out of the window, turning instead to a steady resistance plan for 3 months at a time. Well, I decided to take a brief haitus from that and turn back to circuit training DVDs, if just to remind myself why I love resistance training so much. See, I can trust myself to do steady resistance training to the very best of my ability without a DVD to count me through. But I can't trust myself not to phone in cardio. So I rely on DVDs there, which also means that my DVDs are brutal. 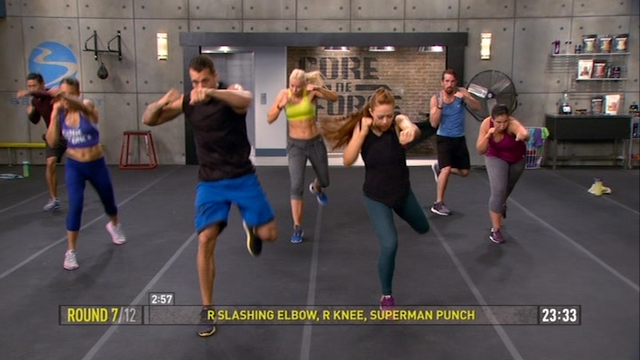 Beach Body's Core de Force is no exception, but as it was the only brutal DVD I had that I hadn't yet tried, and I love martial arts, it seemed the obvious choice...and my goodness did it do the job. And did it ever make me smile and sweat. Zilch. Though if you have a hardwood or laminate floor I would suggest gloves of some kind, because a few chest-to-floor-to-fighting-stance do sneak in and you will get so sweaty that you're liable to slip. Trust me. I know. Otherwise, a towel and water bottle. Yes, I know, "this is basic stuff, Kim - you never usually mention it." Perhaps, but this time I really, really mean it. All 6 workouts across the DVDs are made up of 3-minute rounds, ranging from 20 minutes (6 rounds) to 40 minutes (12 rounds), and covering offence and defence; boxing, kickboxing and Muay Thai; cardio, interval training and body weight resistance. In four of the six workouts, the 3-minute circuits are broken down into 1 minute of sequences, 30 seconds cardio spike, 1 minute sequence repeat, 30 seconds cardio spike repeat. In the remaining two workouts, they're broken into 3 1-minute moves with no cardio spike. Then, on all counts, comes a 30-second rest, during which time the next moves are demonstrated and you're free to grab a desperately needed drink. Do. Not. Skip. Then there's the added feature of a timer bar at the bottom of the screen throughout, so you know when you have 6 seconds of a sequence left and that it's not worth holding back, or 6 seconds of a break and it's time to put down the bottle and get into your stance - but on top of that timer bar they've outlined the sequence you're doing, so there's no chance of forgetting, and you can come back much more easily and quickly if you get lost. This is an incredibly valuable feature. I got lost more than a handful of times. Every circuit is set into its own chapter on the DVD, too, making it easy to skip 'easy' rounds if you're short on time (but don't cheat yourself) or to find where you left off the last time if you were using part of a workout as supplemental cardio after a resistance session. Say if you often only have 20 minutes but don't want to keep using the same 20 minute workout, you could do the first half of a 40-minute workout one day and finish it later, or the next. Then there are the DVD bonuses - think rest-day active recovery, core workouts, pre-bedtime stretches and so on. 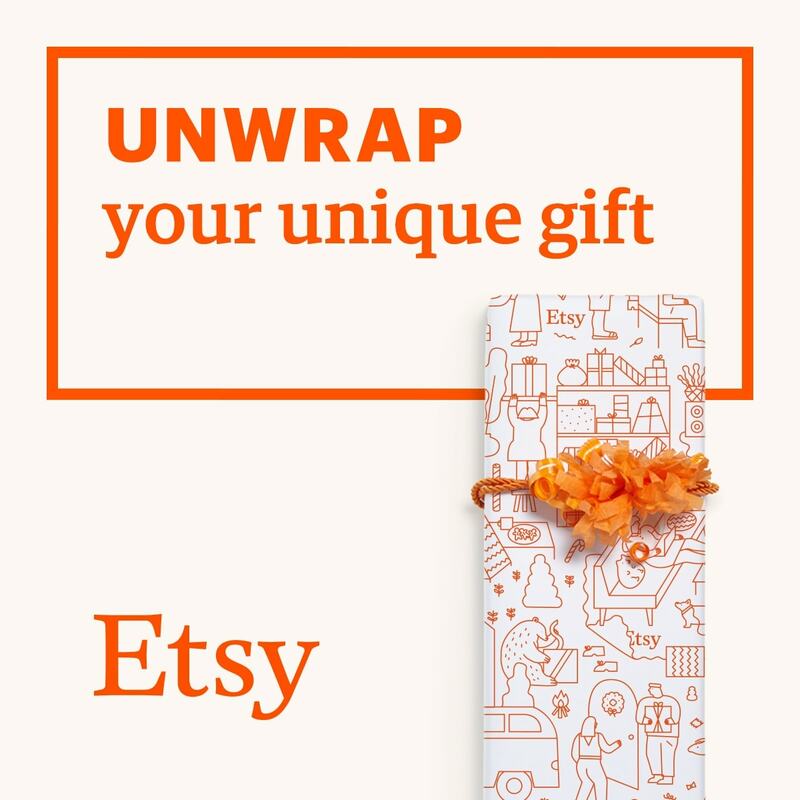 This box set is simply loaded with activity. Yup, like many weight-loss programs, Core de Force comes with a workout calendar and an eating plan. But rather than just containing healthy recipes - which it does, in force, for breakfast, lunch, dinner, snacks, dressings and sauces - it also outlines portion sizes for fruits, veg, healthy fats, protein, carbs, seeds and dressings, and helps you figure out your calorie goal based on weight and activity (ie using the workout calendar which is also provided). It doesn't cut out any macros, it encourages a healthy, balanced diet and accommodates the rise in the stress hormone, cortisol, by encouraging an increased carb intake on week 2 and 3. 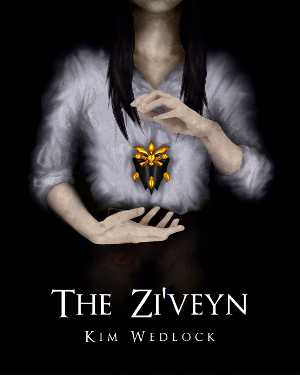 It's not for the faint-hearted, but that's not to say it's for intermediate+. There are the two instructors, Joel and Jericho, both of whom alternate in instruction and always take part. These aren't instructors who will wander around talking rather than doing, they get stuck in with you. But, as someone who has plenty of experience with kickboxing DVDs, I was shocked by how advanced this DVD set gets. In every workout there were new moves, in some, multiple, and while I struggled at first, I learned as I went on. Just as I did when I first started kickboxing. It's about practice and patience. But even then, it doesn't take long, and there is an optional 7-minute 'Learn It & Work It' section for the workouts in which the moves are broken down if you're really having trouble. However, if you're a beginner - to martial arts or exercise - let me take a moment to mention Jessica. First of all, she deserves kudos on a personal level for standing next to the rest and enjoying yourself. She's there to demonstrate the beginner's versions, but in doing so she also proves that these workouts are for everyone. And kudos also have to be handed to BeachBody for actually having her there in the first place. You never see non-shredded people in workout DVDs. Instead, they tend to focus on people to aspire to - and that's great, but having an ordinary person there is great for motivation, too. It reminds you that you have no excuse. As I said, these workouts are for everyone. Your sole issue, really, will be co-ordination, but that's something that will improve over time. And if you flail your way through the workout and feel you did a terrible job, remember this old adage: the only bad workout is the one you didn't do. Variety is a big thing here. You would think that 6 workouts ranging from 20-40 minutes would get repetative, but they don't. 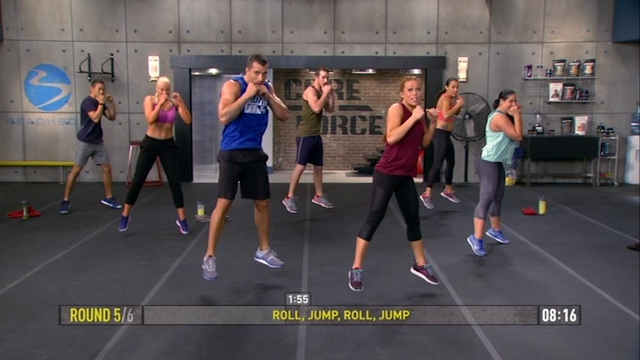 Disc 1 features a 20-minute boxing workout which is not to be sniffed at, and a 40-minute bodyweight resistance workout. Disc 2 features a 40-minute Muay Thai workout, and a more explosive 30-minute bodyweight resistance workout with very different moves from the first. Disc 3 features a 40-minute defensive kickboxing workout, teaching blocks and escapes as well as combinations, and a 40-minute mixed workout with boxing, kickboxing and Muay Thai, with defense, and with jumping. It's called 'plyo' but, to be honest, the plyo actually sneaks in. You only really notice the jump squats and the lateral-to-vertical jumps which each occur twice for two sets of 30 seconds, but jumps are also incorporated into sequences with 'flying' punches and knee strikes. It's ridiculously good fun, once you grasp the footwork. Patience is key, and dropping down to the beginner modifications if just to avoid flailing or hurting yourself. I had to, you probably will, too. Then comes the supplemental sequences. Each disc features a 5-minute plank sequence that targets your abs as a general, optional finisher. Then disc 1 also includes a 15-minute core workout that takes it much further with martial arts focused movements, disc 2 has a 5-minute pre-bed stretch that you can do in minimal space, and disc 3 has a 20-minute active recovery workout for your rest day that spends 10 minutes warming your body up with a number of fighting moves from the other workouts, slowing them down and focusing on form and technique rather than speed, then stretching your whole body for another 10 minutes. You will work up a mild sweat, but it's more interesting - and shorter - than an afternoon walk, avoids stretching cold muscles which will lead to injury, and it can also help future workouts by having spent some time to sharpen your form and positioning. The instructors aren't too aggressive, they're having fun but they're doing a damned good job of instructing, too. Good form, what not to do, breaking moves down, and alternating the lead - while one keeps working, the other takes 10 seconds out before the end of the 1 minute sequence to demonstrate what comes next in the 30-second cardio spike so we can jump in without stopping or flailing. Initially I was intimidated by them, but I really grew to love them both quite quickly. They're enthusiastic, but not in an irritating way, and they not only seem to enjoy what they're doing but they genuinely want you to enjoy it, too. This is a category I've never really addressed in my DVD reviews, and the fact that it's here right now means that it's actually quite a prominent feature. No, they're not actually there with you, no, they can't see if you're actually doing it wrong, but the moves on this DVD are so vast and varied that there is so very much to learn, and so very much room to grow in. I've been using kickboxing DVDs for a few years now, I've got the basics, and I thought I was actually quite good at it and fairly well-versed, but as soon as I hit 'play' on the first DVD, I realised how wrong I was. By the end of it, I couldn't believe how naive I'd been, nor how advanced MMA can get. I was confident in my skills before hand, and I thought I could take someone on, though I never, ever wanted to. Now, however, knowing how much I have to learn, I think I would run for the hills if anyone challenged me in a friendly fight. At least until I had this in my back pocket. Because then I could hit them with it. Or fling the discs from a distance. There is so much to learn, so much room to grow, and it's opened my eyes to something I already loved and showed me that, truly, I could live in MMA alone. It will never, ever become easy or straight forward. It will never not present a challenge. Kickboxing is one of the most effective forms of exercise because it combines resistance with cardio, and encourages speed with good form. HIIT is also a very highly regarded workout method for fatloss. So combine the two and you have a winning workout that is both enjoyable and effective. Then double that awesomeness for the fact that you're provided 6 workouts with equal effectiveness and yet very different flavours. Then increase it again for the fact that there are so few good MMA workout DVDs out there and yet you're provided with 6 incredible choices right here. And that's coming from someone who has tried a good many kickboxing workouts in the past. And I have held them in very high regard. 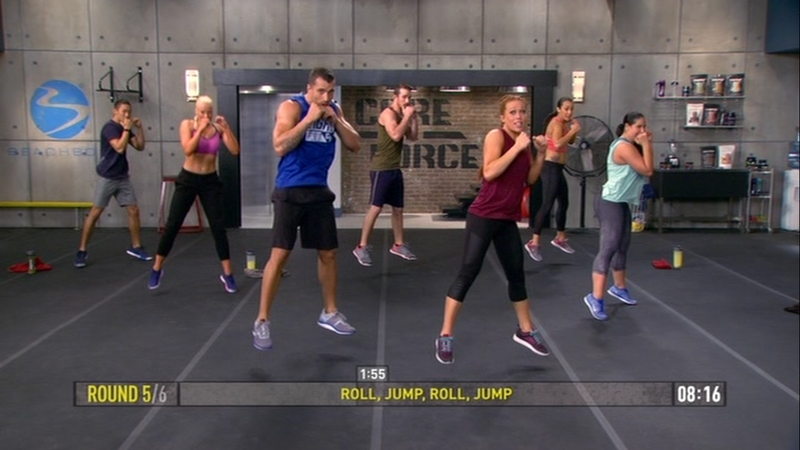 Core de Force is officially my top-rated cardio/HIIT/martial arts workout. It will take a lot to knock it off of that spot. And I hope something does, because that workout would be the pinnacle of epic, if not set fire to body fat directly. Get it. I know the price is steep - search Ebay, if you have to. It is so totally worth it. 6 discs of martial arts workouts focusing on boxing, kickboxing and Muay Thai, with immense cardio, toning and resistance with no kit at all. Everything can be modified, everything can be intensified. It's for everyone, even if it doesn't seem it at first. And whether you turn into a tomato at the end - or a beetroot, in my case - you will never walk away from it feeling like you made the wrong decision. Aside from the fact that exercise is never the wrong choice, any one of the workouts from this set will take you to your personal max, wherever that bar might be, and you will enjoy getting there, and feel so proud when you break through it.